Optimised for playability and forgiveness, the new M5 irons offer players an outstanding combination of distance, accuracy and feel in a refined and aesthetically pleasing shape designed for players preferring a more traditional look. Taking M iron performance to the next level, the M5 irons utilise multi-material construction with SPEED BRIDGE technology, allowing for the integration of the most flexible thru-slot Speed Pocket in a TaylorMade game-improvement iron to date. The new Speed Pocket design (4-7 irons) uses a flexible thru-slot that result in enhanced ball speeds for more forgiveness across the face, especially on shots struck low on the face. Additionally, tungsten weighting has been added (4-7 irons) to lower the CG, increase launch and deliver additional forgiveness. A cavity back design with deep undercut (4-PW) results in exceptional feel and enhanced shot-making ability and the aforementioned HYBRAR compression damper effectively filters unwanted face vibrations for more solid feel on all shots. The M5’s sole design now includes a leading-edge chamfer for a cleaner entry into the turf for crisp ball striking with preferred turf interaction. 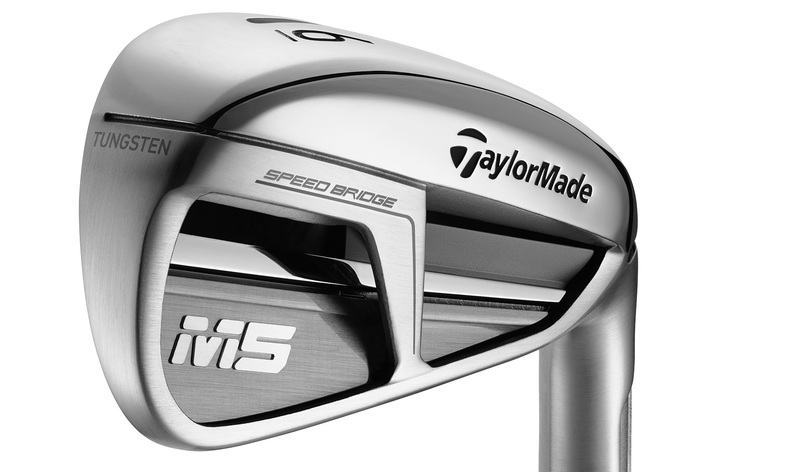 In addition to SPEED BRIDGE and the redesigned Speed Pocket, the M5 irons utilise a variety of proven TaylorMade technologies, including an off-center Inverted Cone Technology (ICT) face design to optimise ball speed across the face, 360° Undercuts with stiffening topline ribs to promote face flexibility and ball speed while maintaining sound and feel and Fluted Hosel 2.0 to promote lower and deeper CG for improved launch characteristics. Taken together, these technologies work in harmony to deliver distance, peak height and forgiveness to provide favorable launch conditions to a wide range of players. 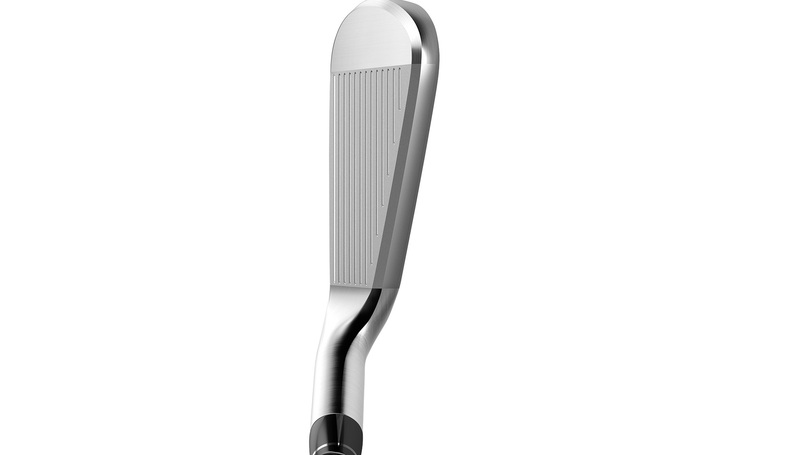 M5 has been designed for mid handicap players seeking performance but will also appeal to better players with a more discerning eye seeking a clean, compact appearance at address. Specs: in 4-9iron, PW, SW and come equipped with True Temper’s XP100 steel (S, R) or Mitsubishi’s Tensei Orange graphite (S, R) in addition to numerous additional custom shaft options.